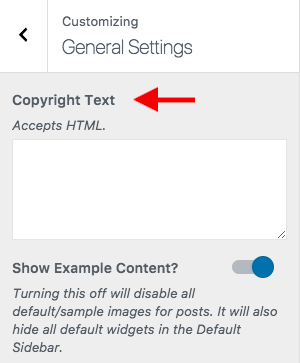 The page footer contains a space for short copyright information. To change its content, go to Appearance > Customize > General Settings and insert your text into the text field at the top. The field accepts HTML markup, so you can feel free to insert custom links or images.